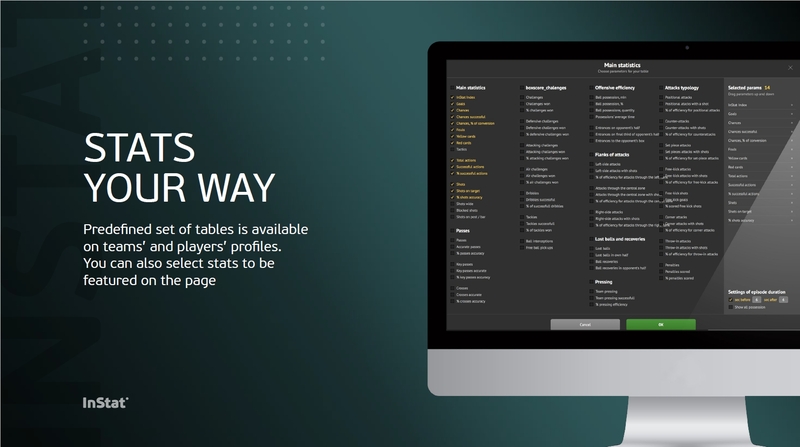 Platform with videos, statistics and interactive charts. Information on over 960,000 players from all over the world. A user can select the required statistics. Every number is clickable and linked to a video. Coaches, players, scouts, agents, journalists and other football professionals can get information on any player or team from any part of the world in just a couple of clicks. 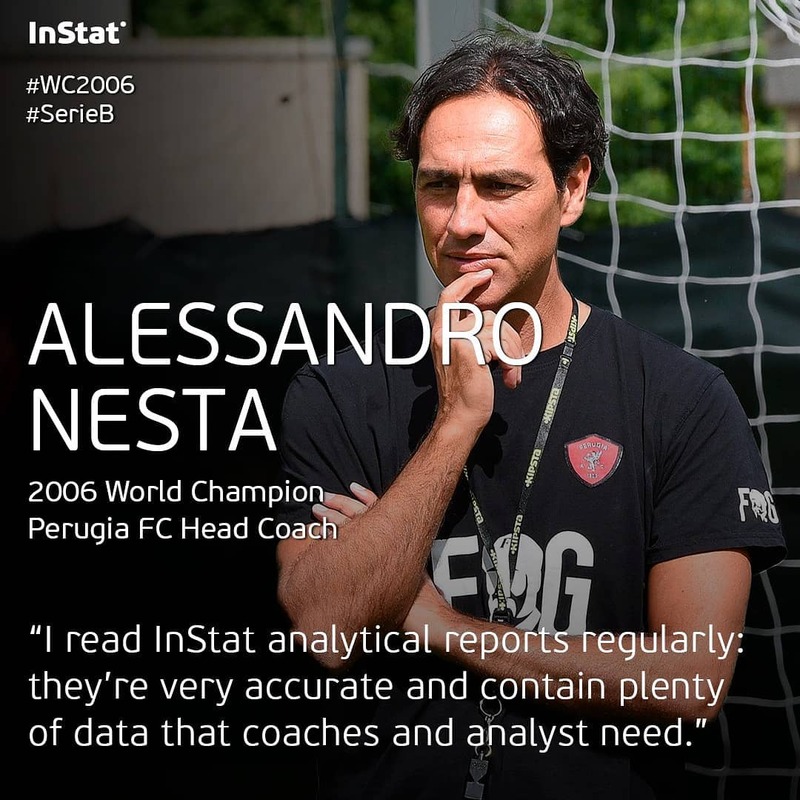 Statistics, full matches, video summaries of any actions, interactive shot charts and even links to players’ profiles in social media – all of these features are available in the InStat Scout platform. Over 6000 matches are uploaded to the database every month. Information in player and team profiles is updated in real time or within several hours after the match. 95 parameters in a team profile, 70 parameters in the player's profile. Special pages for goalkeepers and referees. Every number is clickable. Click on a parameter or a skill to watch an automatically generated playlist of the player’s actions. The most accurate data in the sport statistics world. Every match is analyzed by at least 2 people, who are double-checked by a controller. The reports are reviewed by a supervisor after the match. Compare team’s or player’s performance in different parts of the championship and in different tournaments. 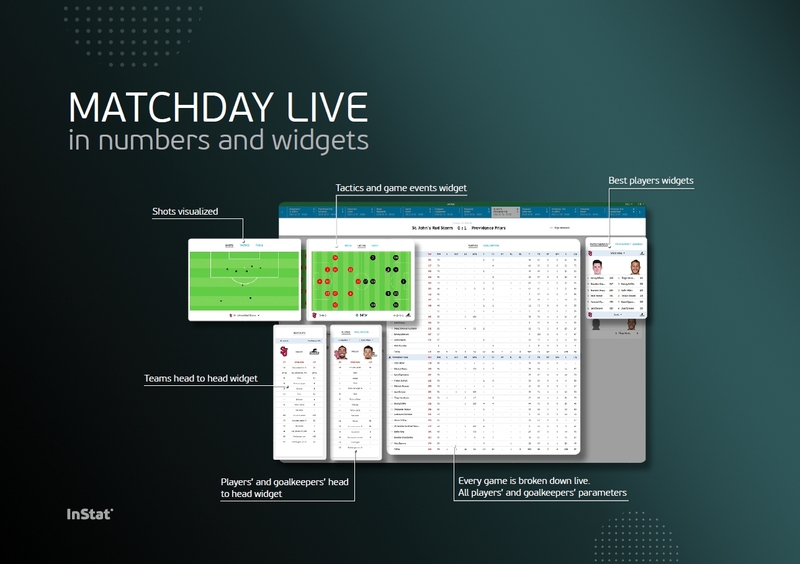 Speed up match analysis – spend just 20-30 minutes to assess your opponent or your own team performance. Widgets with set pieces and shot charts. Custom filters to player search. Draw, tag or create custom playlists right in the video player. Switch to the tactical camera view. Export tables to PDF or XLS. Select only those parameters that you need to export. The French national football team is one of the most active users of InStat Scout. In preparation for UEFA Euro 2016, the French coaching staff provided its players with access to InStat, so that the players could watch their actions and receive reports. Since then, the French national team came second in UEFA Euro 2016 and won the 2018 FIFA World Cup.